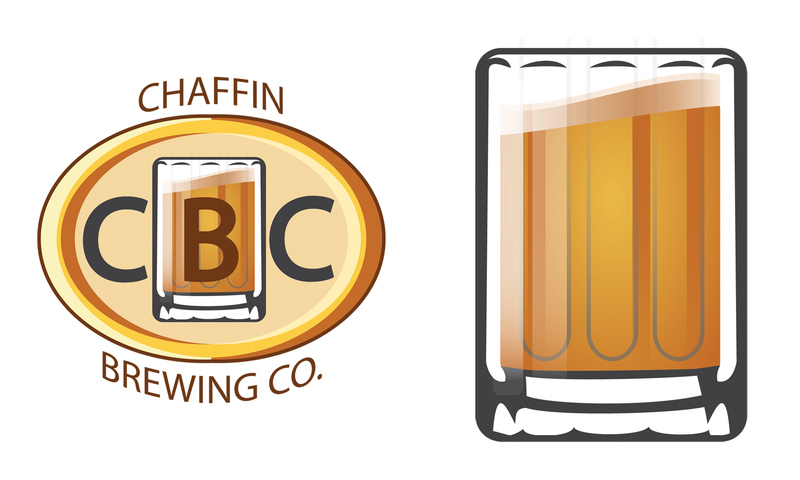 Logo, Advertisement, and label creation for start-up brewery and winery. 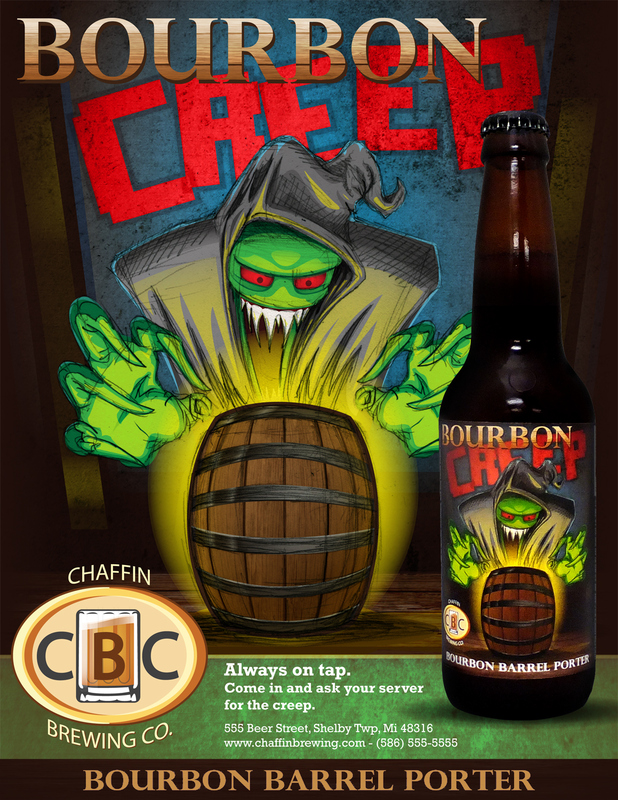 Chaffin Brewing Company is a small, local brewery and winery. Logo was created in vector. The first C in the name doubles as the mug handle. Mug detail is provided to the right of the logo. 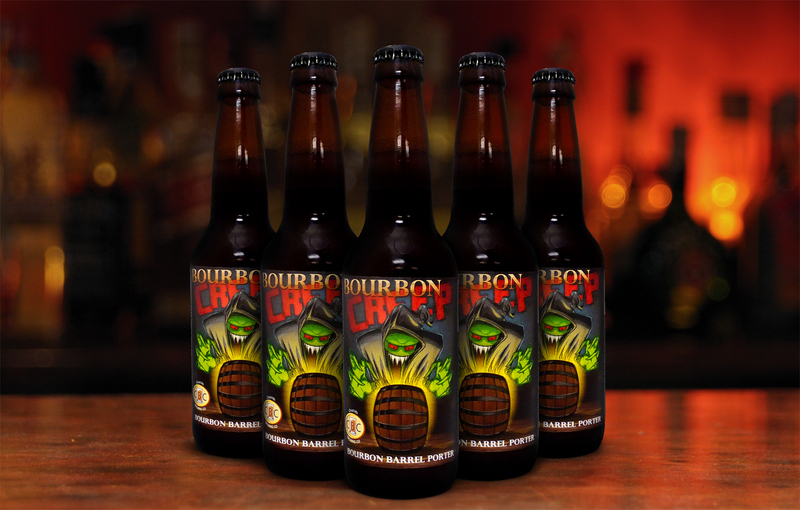 Two labels were created for the first two brews available. 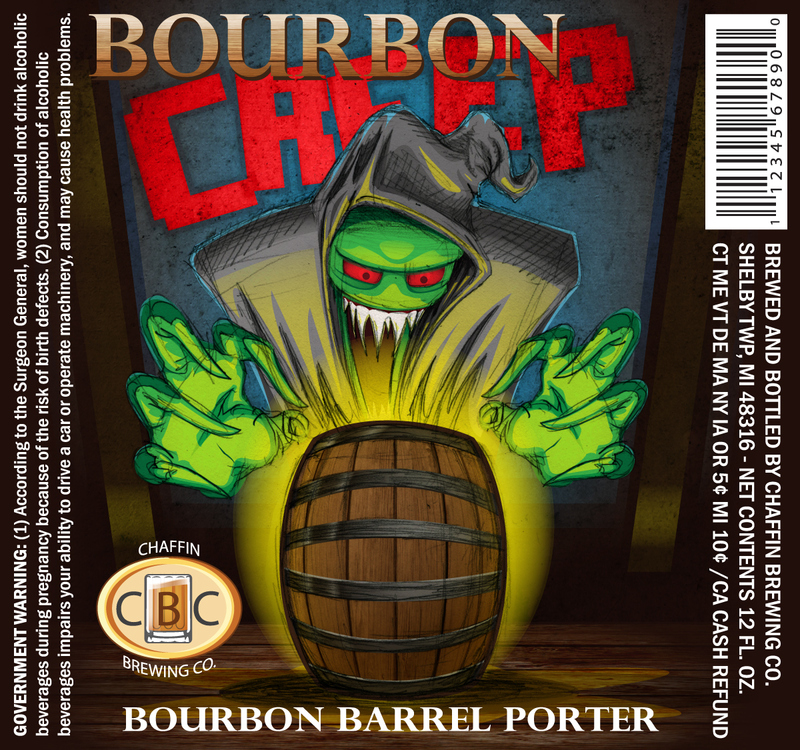 The first label was for a Bourbon Barrel Porter named "Bourbon Creep". 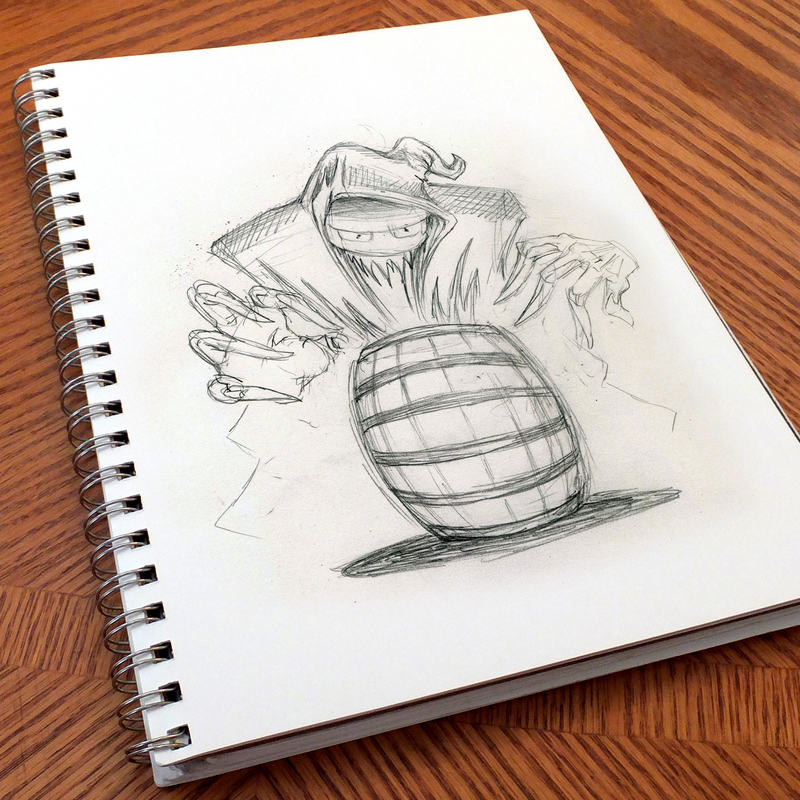 The design of the label started with a sketch, and went to Illustrator for color and texturing. I wanted the illustration to retain an organic feel without moving to paint so the sketch marks were left behind to be incorporated with the image. 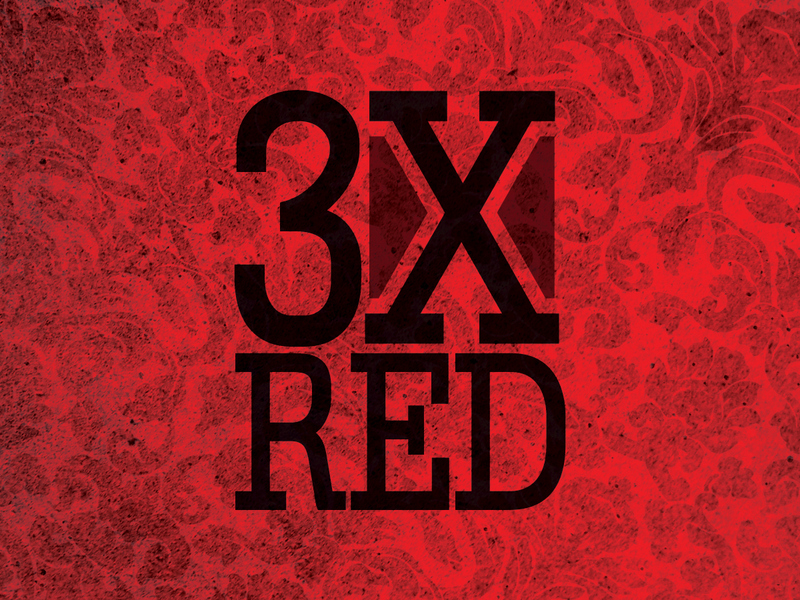 The second label was created for a triple red brew simply named "3x Red". 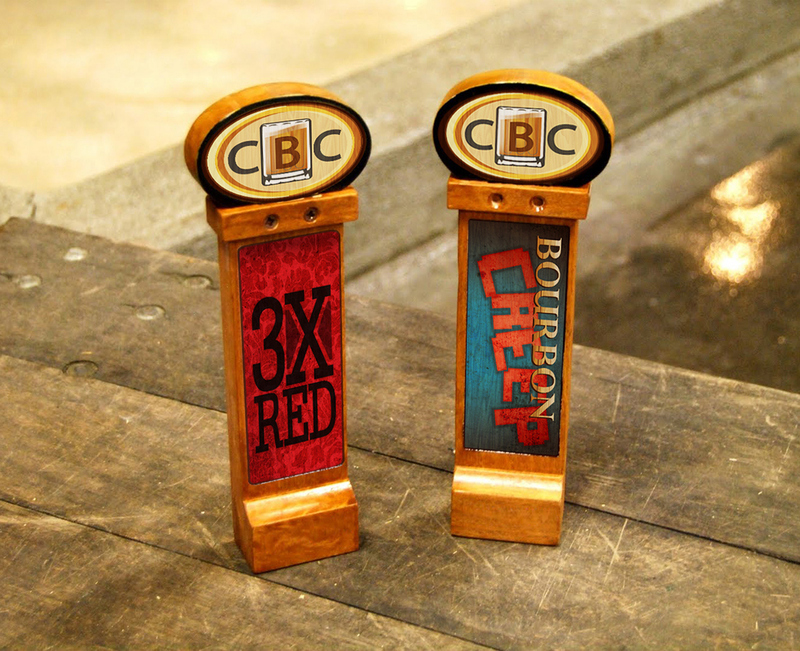 Application to beer faucet handles.